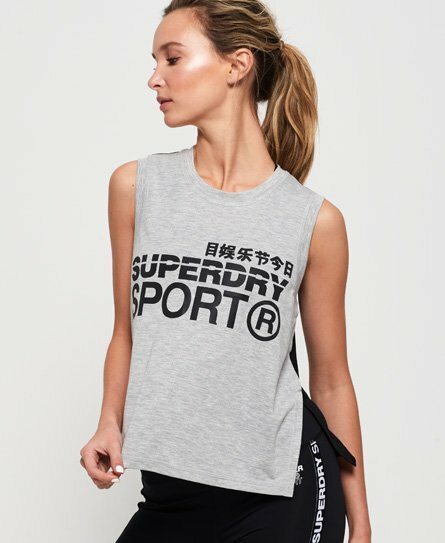 Superdry women's Active loose vest. Lightweight and oh so comfortable, this loose vest is the perfect partner for your workout sessions. Designed using moisture wicking technology to keep you cool and dry as you workout, the mesh back offers improved ventilation, while split side seams add to the relaxed style. The Active loose vest has been completed with a Superdry Sport graphic on the chest.